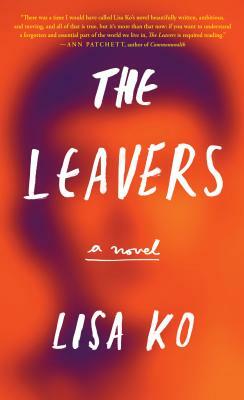 Lisa Ko's powerful debut, The Leavers, is the winner of the 2016 PEN/Bellwether Prize for Fiction, awarded by Barbara Kingsolver for a novel that addresses issues of social justice. One morning, Deming Guo's mother, Polly, an undocumented Chinese immigrant, goes to her job at a nail salon--and never comes home. No one can find any trace of her. With his mother gone, eleven-year-old Deming is left mystified and bereft. Eventually adopted by a pair of well-meaning white professors, Deming is moved from the Bronx to a small town upstate and renamed Daniel Wilkinson. But far from all he's ever known, Daniel struggles to reconcile his adoptive parents' desire that he assimilate with his memories of his mother and the community he left behind. Told from the perspective of both Daniel--as he grows into a directionless young man--and Polly, Ko's novel gives us one of fiction's most singular mothers. Loving and selfish, determined and frightened, Polly is forced to make one heartwrenching choice after another. Set in New York and China, The Leavers is a vivid examination of borders and belonging. It's a moving story of how a boy comes into his own when everything he loves is taken away, and how a mother learns to live with the mistakes of the past. Lisa Ko's fiction has appeared in Best American Short Stories 2016, Apogee Journal, Narrative, Copper Nickel, the Asian Pacific American Journal, and elsewhere. She has been awarded fellowships and residencies from the New York Foundation for the Arts, the MacDowell Colony, the Lower Manhattan Cultural Council, Writers OMI at Ledig House, the Jerome Foundation, and Blue Mountain Center, among others. She was born in New York City, where she now lives. Visit her at lisa-ko.com.